↑ Central Statistics Office (January 2009). "BOTSWANA DEMOGRAPHIC SURVEY 2006" (PDF). Gaborone, Botswana. สืบค้นเมื่อ 2010-07-25. 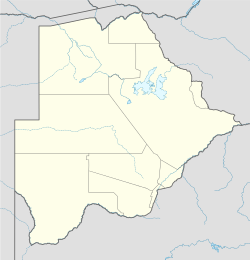 ↑ Botswana Telecommunications Authority (2009-09-11). Botswana (country code +267). National Numbering Plans. International Telecommunication Union. Archived from the original (DOC) on 2009-12-27. สืบค้นเมื่อ 2009-12-27. หน้านี้แก้ไขล่าสุดเมื่อวันที่ 28 กันยายน 2557 เวลา 14:10 น.